September is upon us and is Better Breakfast Month, and with back-to-school time right around the corner, it’s a great time to start the school year off on the right foot by rethinking the way you eat breakfast. 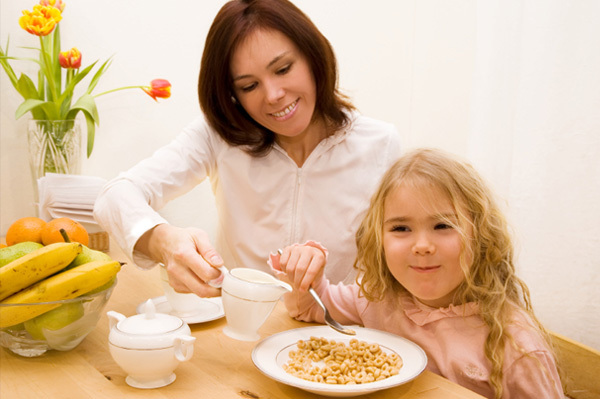 The obvious reason why it is necessary to start your day with breakfast is because of the nutritional benefits. A balanced breakfast with fruit, protein, and whole grains, such as Malt-O-Meal’s NEW Blueberry Mini Spooners (providing 44g) can help kids develop learning skills, improve memory, and prevent the hunger that leads to snacking. If you’re looking for an all-natural variety, Three Sisters or Bear River Valley have no added saturated fat, or hydrogenated oils. Malt-O-Meal also wants you to think even more broadly about your breakfast this year, and that includes thinking about your planet and how the things you purchase, such as cereal in a BOX, affects the environment. Each year the United States produces 2.3 billion cereal boxes, which is enough paperboard to build three great pyramids! By eliminating the box and producing cereal in a bag, Malt-O-Meal has reduced the amount of packaging that consumers have to dispose of by 75 percent! Consider Malt-O-Meal cereal for your next breakfast choice. Malt-O-Meal would like to give away a collection of their cereals to one of our US readers in this Back to School giveaway. A random draw will be made on August 30, 2011 from all entries recieved, by our random entry selector- random.org. Tell me what your kids eat for a typical breakfast. I would say cereal, toast and some oj. Usually whatever cold cereal we have. Sometimes instant oatmeal. They eat cereal, hot and cold, a piece of fruit and juice. We usually eat cereal and toast but sometimes we eat eggs and toast. Cereal, banana and some juice. Follow you in Google Friend as nightowl.